"The tricks to become the man of iron"
Game Goal: Iron Man 3 embodies billionaire Tony Stark, who becomes Iron Man in the official game of the series' third film. How to play: You must fight to protect the world against the insurgent forces of IMA. 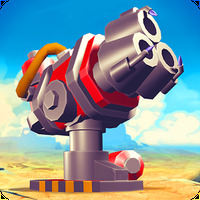 Game Options: Complete the different missions and do some hard fighting against the enemies in battles in the sky. 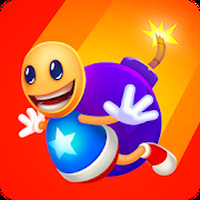 Graphics: Lots of fun in a world with well-designed 3D graphics and animations. Game play: All the power of Iron Man with intuitive and accessible controls. Content Classification: For all ages and especially for movie fans and fans of action games. Developer: Gameloft	- Reliable Android developer in the Android Community. Installation requirements: A minimum of 25.39 MB of free memory space and Android 2.3 or higher. 4 enemies from the comics: Red Dynamo, Ezekiel Stane, Living Laser and the mighty Modok. Find and develop up to 18 types of armor from the movies. 3 sceneries with unlimited levels: the beaches of Malibu, New York and China. Require a lot of space. Requires a powerful device to run well. 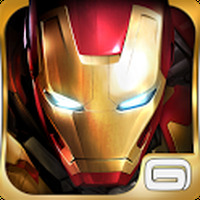 Do you like Iron Man 3 - The Official Game?